To enhance our focus on population health, Holy Name partners with multiple subacute and rehabilitation facilities to provide a cohesive continuum of care for our patients. Using a blend of classroom and simulation learning, this workshop is intended to provide participants with further training in coordinating care with community partners. 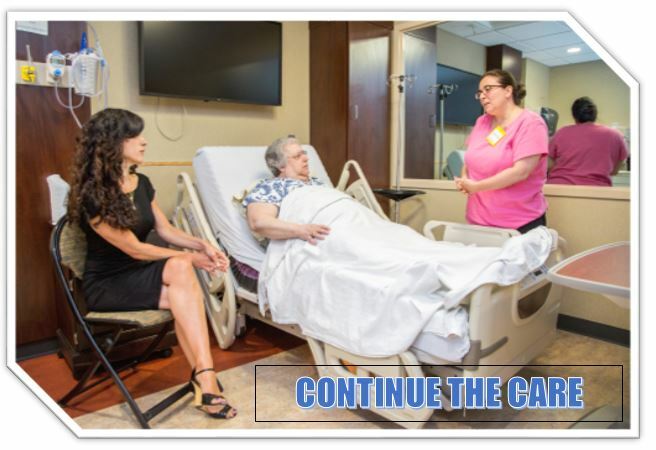 The simulation based training uses actors and enhanced technology to recreate scenarios encountered in the post acute care setting. It is intended to foster transparency and accountability across the continuum of care. Participants may include administrative leadership, nurses, social workers, physical therapists, occupational therapists and any patient care team members willing to participate. Held at The Russell Berrie Institute for Simulation Learning, this three-hour simulation based training session helps transform the daily practice of the participating individuals and improve the quality of care delivered.